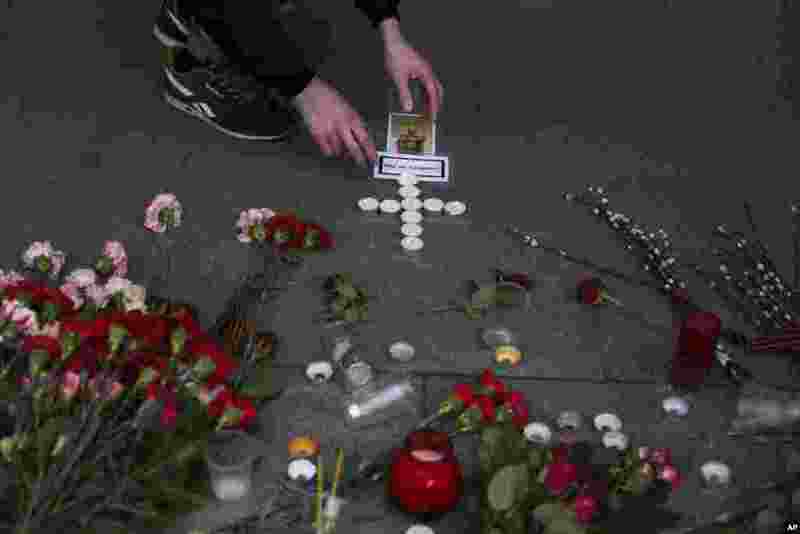 1 A man lights candles at a symbolic memorial outside Sennaya subway station in St. Petersburg, Russia. A bomb blast tore through a subway train, killing several people and wounding many more. 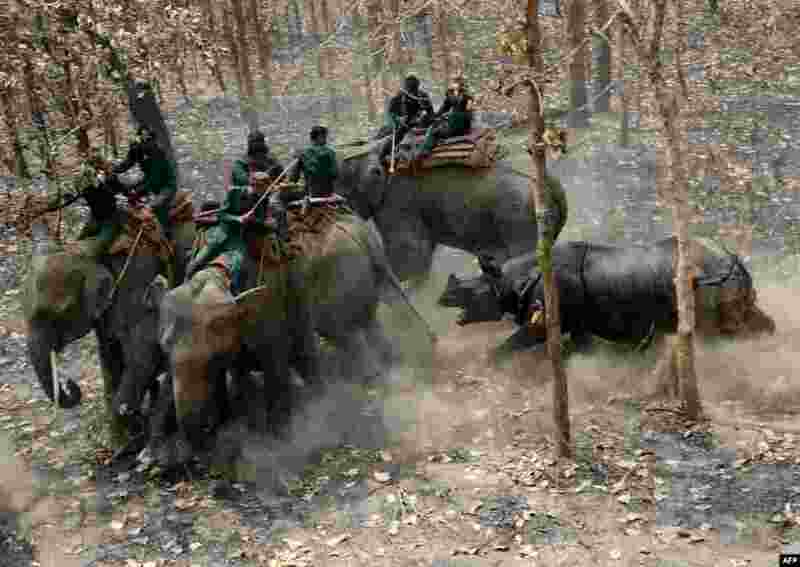 2 A relocated rhino charges a Nepalese forestry and technical team after being released in Chitwan National Park some of 250 kilometers south of Kathmandu, April 3, 2017. 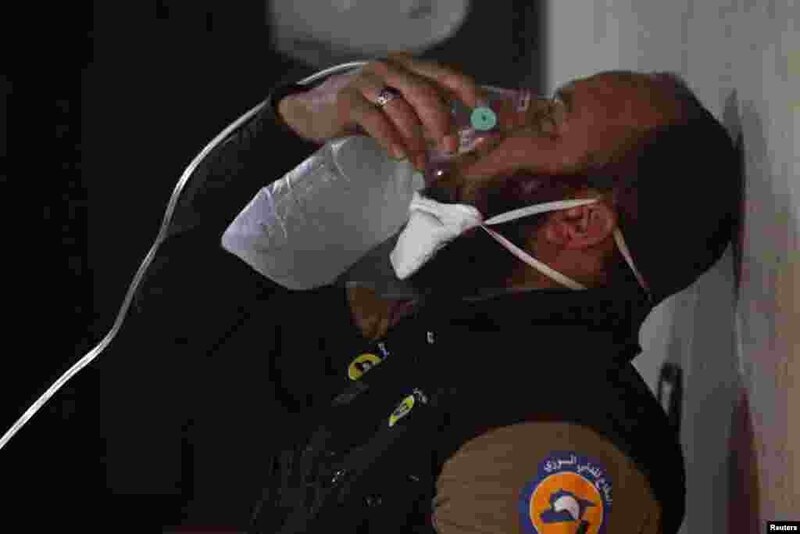 3 A civil defense member breathes through an oxygen mask, after what rescue workers described as a suspected gas attack in the town of Khan Sheikhoun in rebel-held Idlib, Syria. 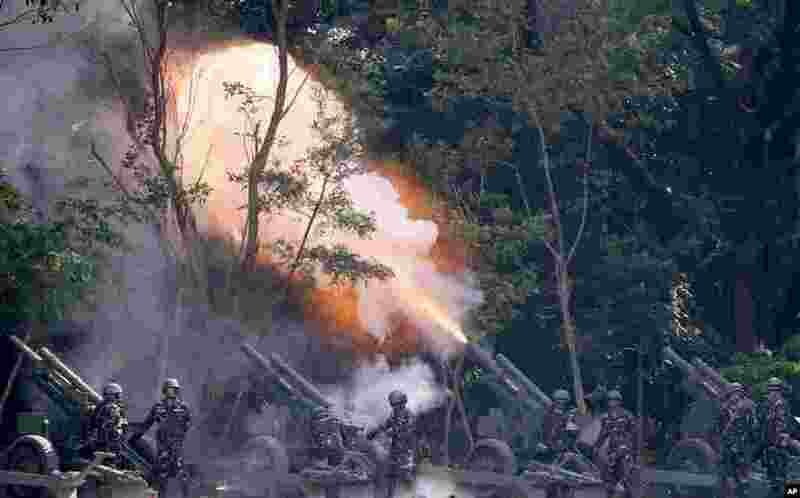 4 Philippine Army Battery Unit fires a 105-mm Howitzer cannon for a 21-gun salute to honor President Rodrigo Duterte during the 120th anniversary celebration of the Philippine Army, at Fort Bonifacio in suburban Taguig city, east of Manila.